Electric fields are created by the voltage present in the electrical system, either the building wiring or power cords. 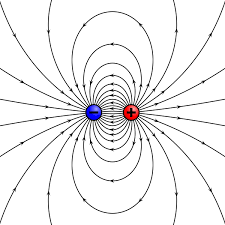 A current flow is not necessary to create an electric field. This means a device does not have to be turned on to create an electric field. Electric fields can usually be easily eliminated or shielded. Electric field measurements complex as the investigator’s body affects and diverts the electric field which in turn influences the measurement results. Electric fields are measured in Volt per meter (V/m). The most common source for electric fields in residential buildings is the internal wiring system due to the use of unshielded, plastic sheeted Romex cables and unshielded power cords. The electric (E) field emissions in this residential bedroom are originating from the electrical wiring system inside the wall cavity. The electrical conduit is running horizontally about 20 inches above the floor level connecting the electrical outlets in the room. An additional E-field source is the ungrounded/unshielded power cord for the reading light. Therefore, we need a two pronged approach. First, eliminating the E-field emissions from the walls, and secondly rewiring the light with a power cord with a shielded and grounded power cord. 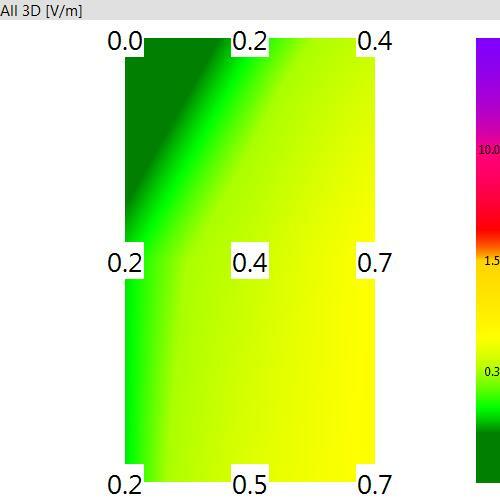 The benchmark or target goal of this E field mitigation is E-field level of below or equal to 0.3V/m. The Building Biology Evaluation Guidelines for Sleeping Areas SBM-2015 and the Austrian Medical Association (ÖÄK) use the following criteria for bedrooms. The first step is to unplug the reading light and to conduct E-field measurements at the bed site. 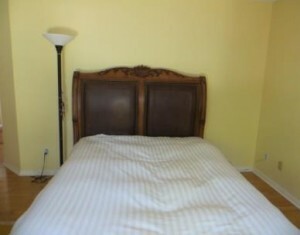 The photo on the bottom shows the bedroom with the bed in place and the headboard wall. E-field measurements are conducted area at nine (9) different points at the top surface of the bed. The color graphic show the electric field levels detected in Volt/meter (V/m) at each location. 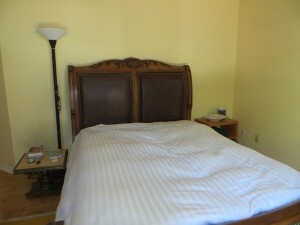 The top represent the headboard area of the bed and the bottom the foot area. After the first application of the shielding paint (YShield HSF54) to the headboard wall surface, measurements were repeated at the same nine locations to evaluate the results, i.e. determine what reduction has been achieved and if the target goal has been reached. For the E-field shield to work it has to be connected to ground. 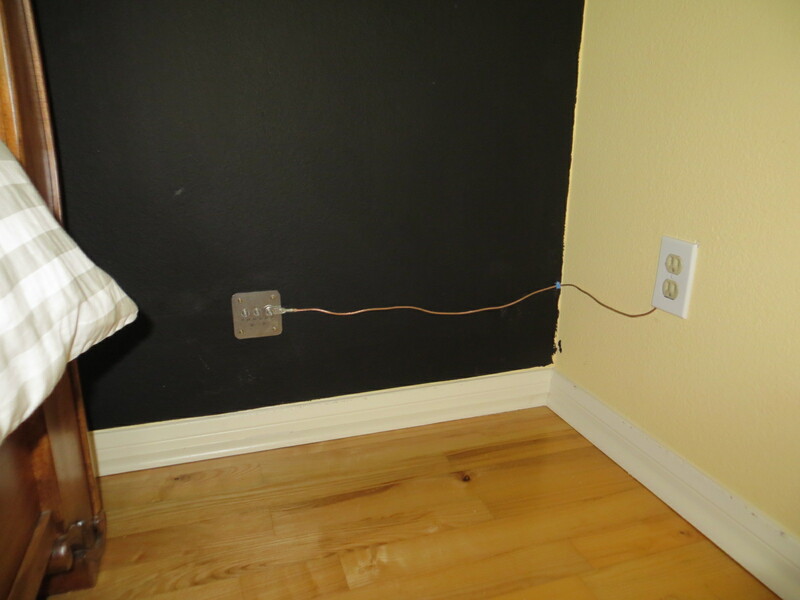 A grounding plate and grounding straps are attached to the wall and a cable connected to ground. 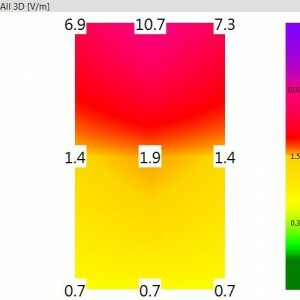 The measurement results show a significant E-field reduction in the head and center area of the bed. 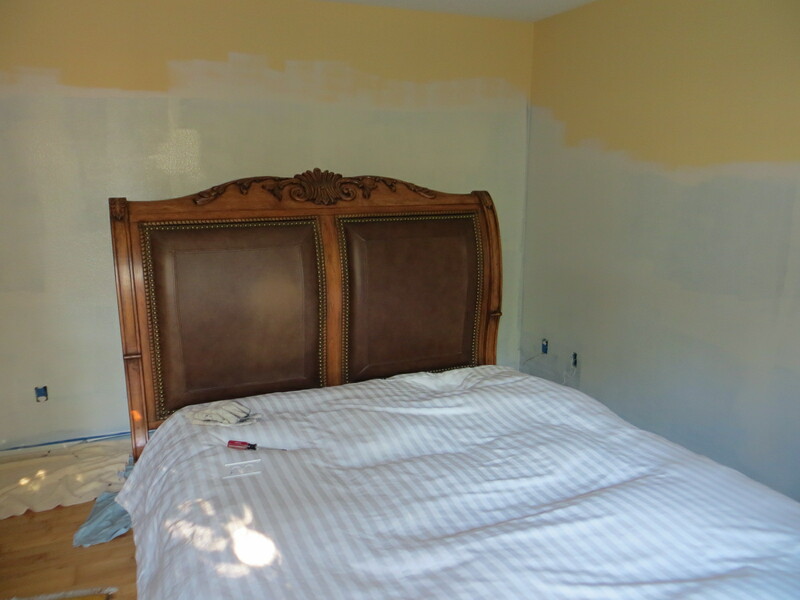 However, it is apparent that the wall to the right of the bed has some impact on the field levels (yellow areas). 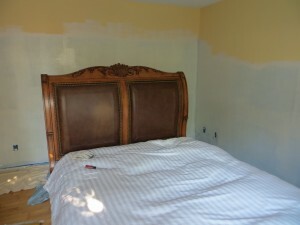 Therefore, we now applied a shielding coat to the wall to the right of the bed. 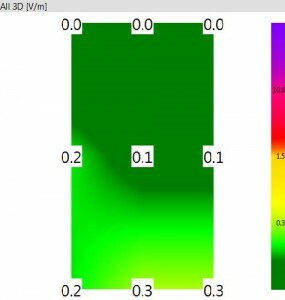 It is imperative that all E-field shielding surfaces are connected to a proper grounding system and continuity of conductance of shielding surfaces is achieved. Any grounding work should be conducted by a licensed and experience electrical contractor. 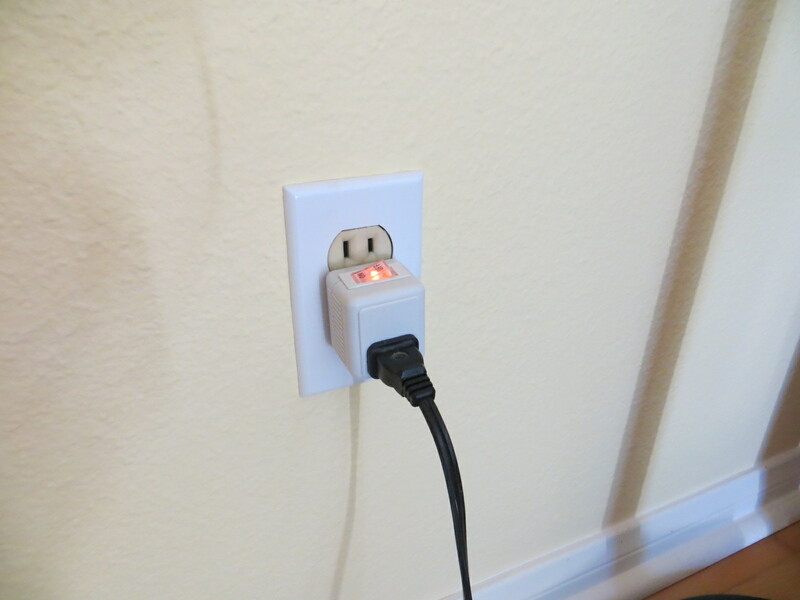 Grounding is also important part of electrical safety in such a project. After two walls are now shielded, the measurements are repeated. The graphic below shows the results obtained afterwards. The measurement results show the target goal has been achieved. E-field levels are now zero in the head area and all remaining areas are below or at our benchmark of 0.3 V/m. Congratulation, the mitigation project has been successful. 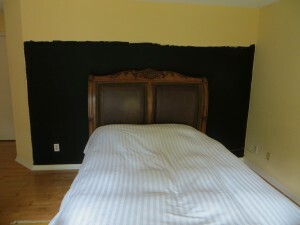 To complete the project, need to repaint the wall. We used Zinsser BIN Shellac primer to counteract any potential odor emissions from the shielding paint. Two coats were applied. 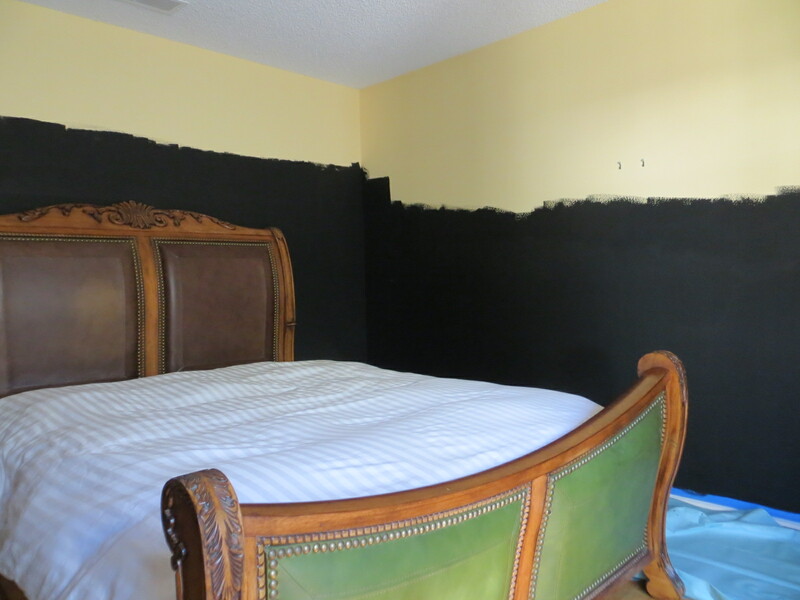 Finally, a coat of flat latex paint was applied to bring the room back to the original color theme and the shielding mitigation is not noticeable. The last step is the rewiring of the reading light with a shielded power cord by electrician.  This is scheduled to be performed. We place cut off switch into the outlet, in the meantime, so that the room can be occupied again. The occupant will have to turn the reading light off at the outlet switch to break the electrical connection and not at the reading light. The following individuals were part of the EMF Mitigation Consortium that completed the successful E-field shielding project. Have a good night’s rest.